In the Yingge factory, hand-made clay is fired to feel the temperature of nature. The last one, until the end of the sale. /Product desciption/ Taiwan's Wuyue is charming and mysterious. Those who want to climb high are not casual. They need to adjust their body to move forward, and then they can see the mountains and the clouds moving in seconds, and they hear the birds call the insects to live. Like the scenery in the plate, it is the delicious taste of the taste of the rainbow. It is the nutrition of the rainbow color. It distinguishes the seasons with the sweet, sour, bitter and salty. In the daily life, the delicious food that is given by God is accompanied by the Wuyue Mountain. It is practical and beautiful. Cooperated with Yingge's ceramics factory, using clay as the material. During the firing, the clay is slightly different in coloration due to the weather temperature of the day. Each individual in the hand has its uniqueness, and the warm color is very Fascinated. The cup body is covered with glaze, showing its most essential appearance. When touched, it seems that the particles of the earth can pass through the palm of the hand. And this kind of beauty is not easy to come by, and every object we see is relatively rare. The inner white glaze is slightly blue, and the touch of the mouth can experience the thick cup edge and the smooth cup mouth. The clean outline is unpretentious, and the beauty of the unadorned beauty is pleasing to the eye, carrying Taiwanese culture and scenery, holding the gentleness of this land of Taiwan, and expecting every day to be a good day. /brand introduction/ "Good Good Day" is a new brand that provides consumers with a happy, happy and happy life in the spirit of Taiwan's local spirit. It not only provides the practical functions that daily necessities should have, but also provides consumers with goods. Interaction and dialogue, these interactions and dialogues come from goods and people, space and life. Because of the existence of good goods, it is our expectation that consumers' lives are full of happiness, joy and good mood. Therefore, "Good luck, good day, day There are good things, "Good fortune, happy room" is a new life experience that will be passed on to the consumers. /about the author/ Zhuang Ruihao and Lu Yunyun, both born in August, returned to Taiwan to establish "two August biaugust" after completing their studies in Japan. In the beginning, they began to design graphic design and established their own brands. August is not simply a provider of design, but a provider of life experience and philosophy of life. "Life and Touch" has always been the core idea of creation, seeking the possibility between man and design through diverse creative media. In 2011, the art window created by Hermès Hermes invited the two August design breadth to be wider. In the multi-directional trials and challenges, it spanned the fashion, home decoration, space design and art, and so they designed Show unique insights and thinking. /Product Information/ Size: Φ170 x H96 mm Capacity: 1090 ml (eight points full) Material: clay Glaze: exterior - no glaze / inner - matt glaze Inner packaging: 1 Origin: Taiwan / Yangge /Usage and maintenance methods / ★ Generally clean, it is recommended to use manual cleaning to maintain the life of the pottery. 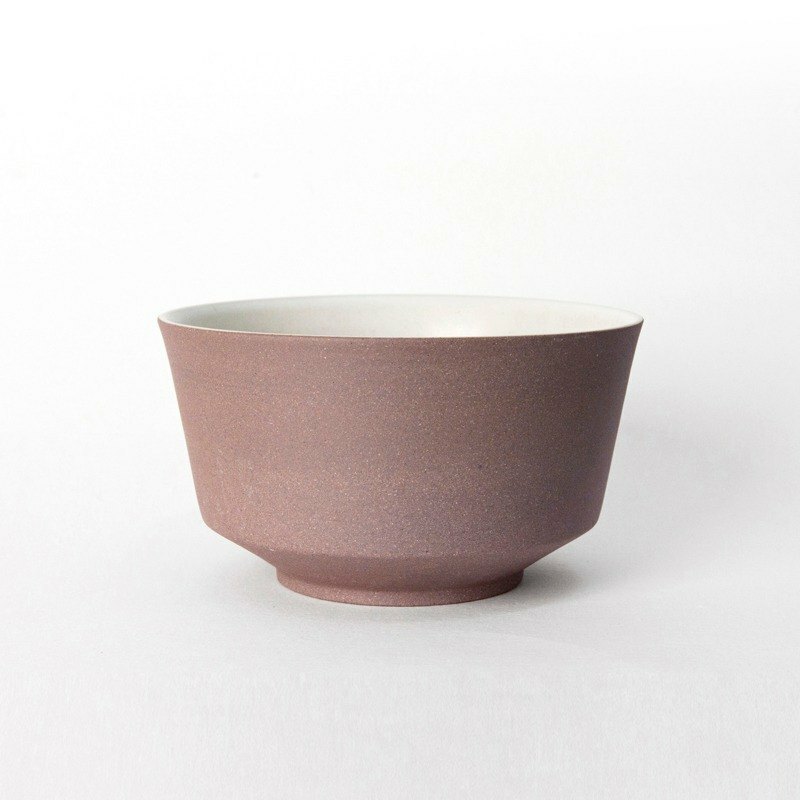 ★ Due to the design and firing method, the bottom part of the vessel is unglazed clay. It is recommended to dry or reverse or hang after cleaning. ★ Can be used in microwave ovens, but only for medium and low temperatures, not for ovens. ★ Ceramics are fragile goods, please avoid strong collisions. ★ After use, there will be a natural glaze crack on the surface of the product, which will increase the charm of the work and will not affect the use. Please rest assured. ★ If there is coffee stain or tea stain, it is recommended to use natural baking soda powder to scrub with a sponge. /Other notes / ★ Daji Jiri pottery products are fired with clay and glaze. The black spots on the surface are natural and unique patterns of iron and minerals in the soil. ★ Some hand-made processes, non-mechanized and uniform, natural hand-made traces will produce flow glaze, glaze and gas spots. The appearance and color of each piece will be slightly different. It is also the charm and personality of pottery. It can be accepted again. Order. /Quality specification / ★ According to the drawings confirmed by both parties and the two August quality judgment standards. ★ Due to the slight color difference of the shooting, the picture is for reference only, please refer to the actual receipt of the product. /Overseas Shipping Notes/ ★ Due to regulatory relations in mainland China, in addition to personal items can be sent to the personal address, the rest of the goods can only be the company or school office, please confirm the receiving location, the company can re-order.